The story of Cinderella is one of the most well-known fairy tales with hundreds of versions being told all over the world. Cinderella’s origins are found in 9th century China, where the tale is known as “Yeh-Shen," although most people recognize best the French version popularized by Charles Perrault in the late 1600’s. With nearly every culture touting some variation of this tale, the study and comparison of Cinderella stories is a great way to foster cross-cultural comparisons in the classroom while teaching literacy and making connections across the curriculum. In this unit, students explore a wide range of multi-cultural Cinderella stories, reflecting on similarities and differences of the stories. Finally, students create an illustrated Cinderella story based on their own self-defined culture. Read a diverse selection of Cinderella stories from around the world. Analyze variations of the Cinderella story to identify plot elements that all Cinderella stories have in common. Analyze similarities and differences of Cinderella variations by charting observations using a Features Analysis Chart and Venn-Diagram chart. Students will reflect on how a plot element can seem quite different yet accomplish the same purpose in the narrative. Students will examine how Cinderella stories reflect information on a country’s unique culture. Students will make their own Cinderella story based on their own self-defined culture, keeping in mind essential plot elements. A selection of Cinderella stories from around the world. Listed below are recommended books that are commonly available through libraries. China: Louie, Ai-Ling. Yeh-Shen: A Cinderella Story from China. Illus. by Ed Young. Egypt: Climo, Shirley. The Egyptian Cinderella. Illus. by Ruth Heller. France: Perrault, Charles. Cinderella. Illus. by Loek Koopmans. India: Babeaux Brucker, Meredith. Anklet for a Princess: A Cinderella Story from India. Illus. by Lila Mehta. Indonesia: Sierra, Judy. The Gift of the Crocodile: A Cinderella Story. Illus. by Reynold Ruffins. Ireland: Climo, Shirley. The Irish Cinderlad. Illus. by Loretta Krupinski. Jewish: Silverman, Erica. Raisel’s Riddle. Illus. by Susan Gaber. Jewish: Jaffe, Nina. The Way Meat Loves Salt: A Cinderella Tale from the Jewish Tradition. Illus. by Louise August. Mexico: Domitila: A Cinderella Tale from the Mexican Tradition. Adapted by Jewell Reinhart Coburn. Illus. by Connie McLennan. Middle East: Hickox, Rebecca. The Golden Sandal: A Middle Eastern Cinderella Story. Illus. by Will Hillenbrand. Native American: Martin, Rafe. The Rough-Face Girl. Illus. by David Shannon. United States: Ketteman, Helen. Bubba the Cowboy Prince: A Fractured Texas Tale. Illus. by James Warhola. West Africa: Onyefulu, Obi. Chinye: A West African Folk Tale. Illus. by Evie Safarewicz. Zimbabwe: Steptoe, John. Mufaro's Beautiful Daughters. Cinderella image to project for the class to analyze. A chart for students to fill out (copy or replicate this version on 11 x 17" paper), one for each student, and/or project it for whole-class discussion. A Venn diagram for students to fill out (copy or replicate this version on 11 x 17" paper), one for each student, and/or project it for whole-class discussion. A world map (computer lab with Internet connection for an interactive extension activity). To what degree does the student-made story reflect an understanding of introducing variations in both setting and plot elements? Is the student able to create unique story elements while remaining consistent with the essential plot of Cinderella? Show students an image of Cinderella (opens in new window). Ask students if they can identify the story from the picture alone. What part of the story does the picture depict? Explain to students that this picture is an illustration from a Cinderella storybook. Talk about other places students might have seen Cinderella. Perhaps they are familiar with the Disney version or have read other storybooks. Read students the well-known Cinderella story by Charles Perrault. Explain to students that there are Cinderella stories from many countries all over the world. Tell students that they will be reading different versions of Cinderella stories from around the world and thinking their differences and similarities. Read a second Cinderella story of your choosing. As a class, working in small groups, or individually, ask students to fill out a Venn diagram (use this template) as a way to analyze similarities and differences. 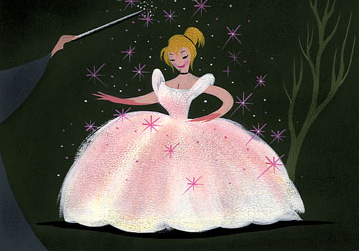 Help students chart the essential parts of a Cinderella Story. Use this template, or make your own. Modify the list of common elements your class has made to make a large features analysis chart for your classroom to keep track of the story’s plot element commonalities: setting/country, main character, magical helper, problem or nemesis, means of recognition, gathering, and prize. As a class or inidivudally, read several more Cinderella stories and fill in the feature analysis chart as a class. You may want to use your usual read-aloud time and read two books a day over the course of several days. Looking at the chart, ask students what is always the same throughout the stories? And what varies? Why do they think there are variations? Finally, ask students to demonstrate their understanding of plot, characters, and variations by writing their own Cinderella story. Ask them to introduce context and characters based on their own surroundings and place in the world. For example, if a student identifies with playing sports or a ethnic or religious community, they should make their Cinderella story introducing those characters and notable events or gatherings. Ask students to share their story aloud. Encourage students to ask questions. Lead a discussion on how each student's story reflects their own identity and community culture. After reading each Cinderella story, students locate and mark each country on a world map. Students work in small groups to do research on a country of their choice, and make a Cinderella story based in that country. Ask students to consider how the setting and plot will change due to the unique features of the chosen country. Map student stories connecting with real world places on Google Lit Trips (www.googlelittrips.org). Google Lit Trips uses the technology of Google Earth to bring stories to life through virtual mapping. Students place markers on Google Earth to track the journeys of story characters, with the ability to populate those place markers with supplemental resources. Students “ride along as virtual passengers” on the same journey as their characters. Let students in small groups pick out a favorite version from another country, do additional research on the country, and act out the story with props. Have students draw their favorite parts of a Cinderella story and add illustrations to corresponding countries on a large illustrated world map. Students work on data collected from the Cinderella stories with sorting activities in which they sort stories by attributes, describing what distinguishes one cluster of stories from another. Students design and carry out their own data investigation by developing Cinderella surveys. What questions do students have about Cinderella? In one class, a student asked, "is the nemesis always a step-mother?" Ask the students to investigate this and similar questions by reviewing the evidence (books), collecting data (counting how many times this is true), and organize results into visual representation by filling in a line graph or stacking cubes. In the earlier question, students might find that out of six Cinderella stories, the nemesis is the mother or step-mother three times, a sister or step-sister twice, and a scary animal once. By looking at evidence visually, students can draw conclusions ("In Cinderella stories, the nemesis is most often a family member") with greater ease. Students can make a collage depicting their own Cinderella story. Encourage them to use photos, clippings, downloads to find symbols and personifications that suit their story. Lead a whole-class constructive critique by asking questions such as "what is that? what does it represent?" "how does it make you feel?" "what makes you say that?" Look across several students' work to find commonalities. For example, are there commonalities in how students display their nemesis? Their goal?